So I haven't posted anything in a while because everything was so hectic for a while with work and my final exams. But now that it's all over I can finally blog again! 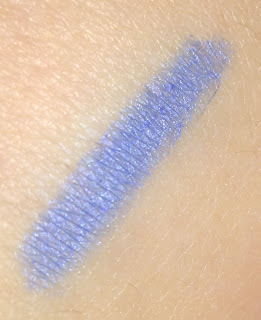 My latest blog post is a review of some of the eye pencils that I've been using and trying out recently. 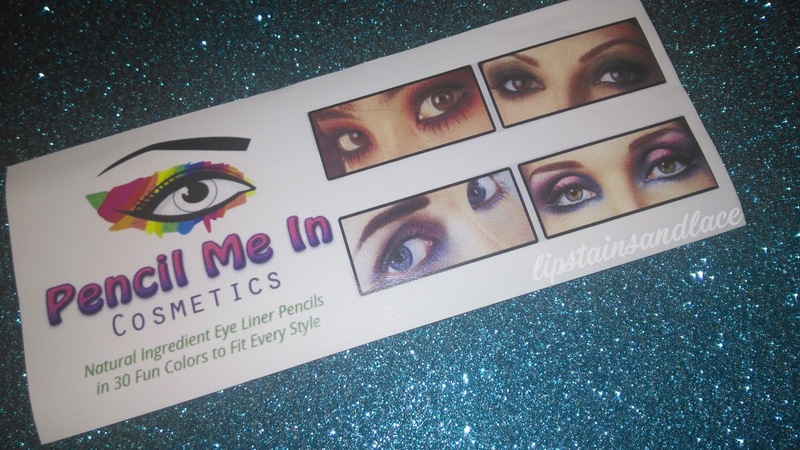 The lovely Linda, who is the owner of Pencil Me In Cosmetics, contacted me to ask would I be interested in trying out her eyeliners. And of course I jumped at the chance because all the colours looked so amazing. 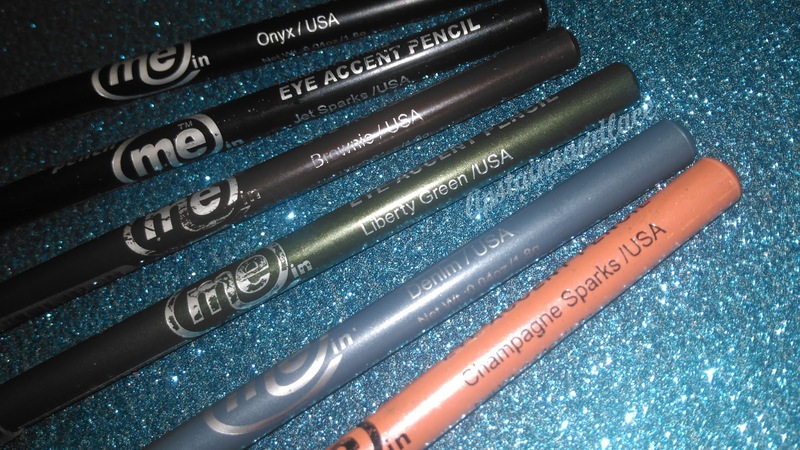 I picked out 6 different liners and Linda posted them to me to try them out. 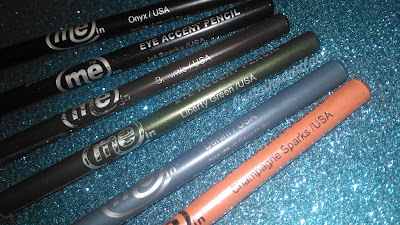 I picked the following pencils to try out: Liberty Green, Onyx, Brownie, Champagne Sparks, Denim and Jet Set. For starters.. how cute are the names? Each pencil comes with a sharpener in the lid which is a fantastic idea as I can never find my sharpener when I'm in a rush or just too lazy to go look for it! You can just place the pencil inside the lid and twist it to sharpen it which I think is a great idea. Each pencil barrel is also designed to match the pencil core so you can see exactly what colour pencil you're picking up without having to remove the lid and test it out. Which again, I think is so handy and a great idea. The colours themselves were gorgeous. Liberty Green is a beautiful jungle, khaki green colour and looks so good with a bronze/dark brown smokey eye for a pop of colour. 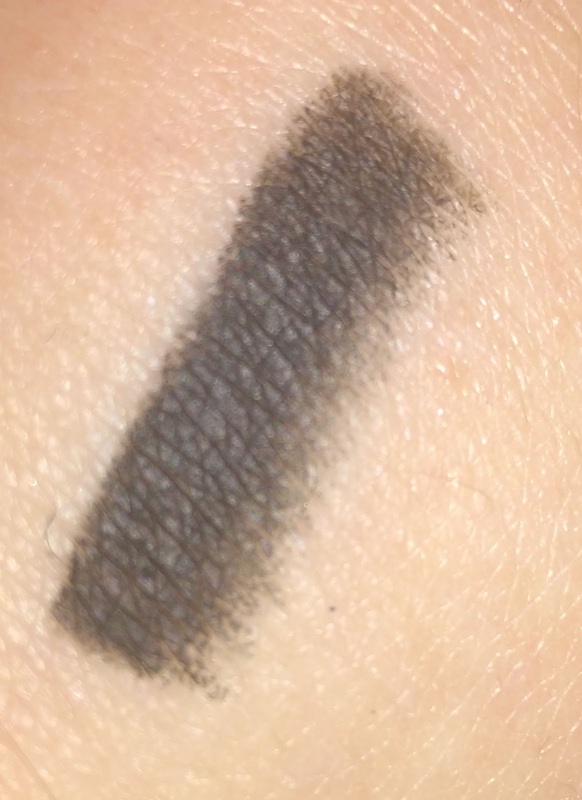 Onyx is a super dark black kohl pencil, great for a dark smokey eye and tight-lining your lash line. Brownie is a brown shade which again like onyx, is great for smokey eyes and giving a real sultry look to your eyes. Brown would be my most used liner colour and I love this because it's not too dark or light but you can build it easily to the intensity that you want. 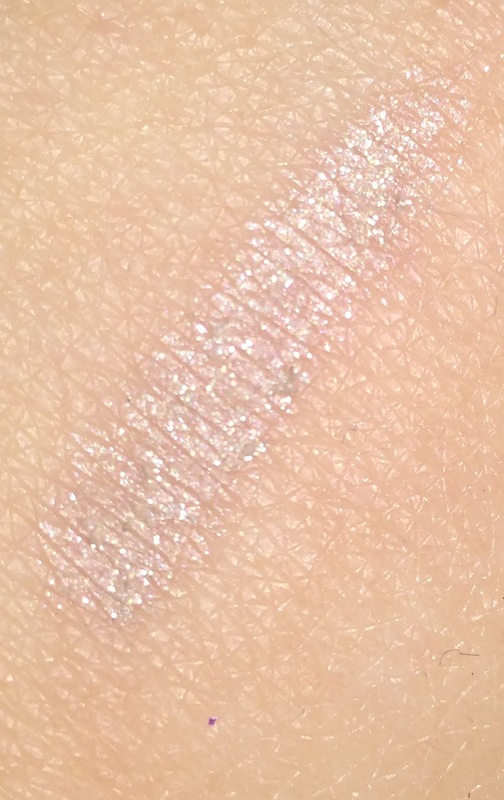 Champagne Sparks.. the shade I was most excited about. 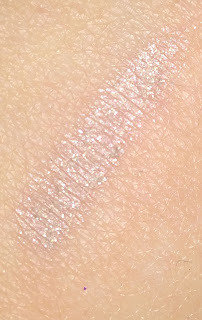 Champagne Sparks is such a pretty peachy pink colour that has little specs of glitter running through it. And these sparks pencils are just perfect for adding a bit of sparkle to any eye look. The amount of glitter running through the pencils isn't too much so you get a nice colour pay off as well as that bit ofshimma shimma! Denim is a beautiful light blue colour which I've been loving wearing on my waterline when I'm trying to wear less makeup on those sunny days. 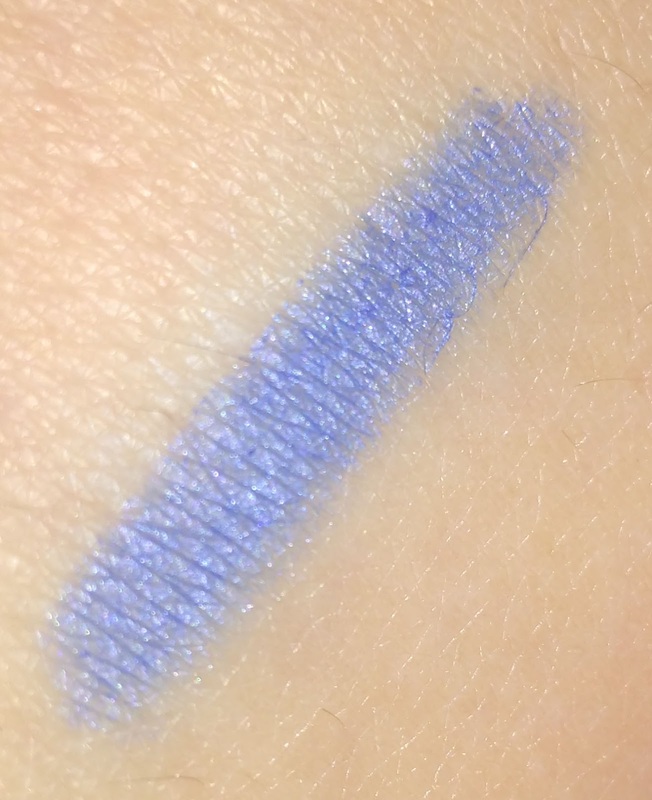 This shade really makes your eyes pop so it's perfect for the summer months. It's also nice and subtle so makes your eyes look much bigger and brighter. This was definitely one of my favourite ls to try out. 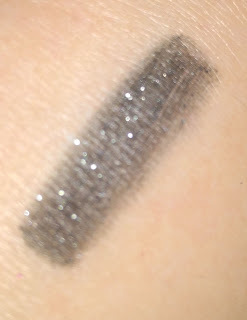 Jet Sparks is like Onyx, a dark kohl pencil but like the Champagne sparks pencil it too has specs of glitter running through it which I adore. This looks amazing paired with a super dark smokey eye because it really does gl the eye look. I really enjoyed testing these pencils out. The consistency of the pencils is very creamy and buttery so they're really easy to blend. I loved how easy to blend they were because you can darken them up for a more dramatic look or blend them out for a more softer look. 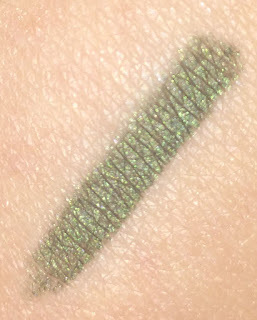 The glitter pencils wouldn't be to everyone's taste as I know some people are terrified of glitter being that close to their eye but trust me when I say all the glam divas would love these. The pencils are 100% natural and are paragon, petroleum and gluten free meaning they're not harsh or bad for your skin either. These pencils are also cruelty free and are not tested on animals, which is always nice to know when you're buying products. After trying these pencils out for a number of weeks now I really do love them. I've noticed myself reaching for these over my old faithfuls when doing any eye looks because of the fact that they're so creamy and blend so well. The built in sharpener really is a plus and is a genius idea in my opinion. I love the fact that the pencil barrel is actually the same colour as the pencil so you know exactly what the colour looks like without having to open each one. They also come in a range of 30 colours so you're bound to find a colour that you like and that suits you. I would 100% repurchase these once I've managed to use up all of mine because they're just such high quality. Each pencil retails for $6.99 each which is about 6.30 when converted to Euro, which I think is a bargain because you really don't need much product with these. You can also buy a set of 6 pencils that are designed to suit different hair colours and different tones, a set of 6 retails for $40 and you can view the range here. You can check out the Pencil Me in Cosmetics website here or you can click here to shop them directly. Just want to say a huge thank you to the owner of Pencil Me in Cosmetics, Linda, for gifting me these gorgeous pencils and letting me try her brand out. You can read more about Linda and how she set up her business here if you're interested. 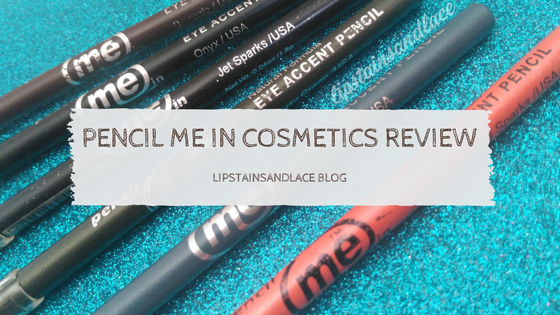 If you have any questions about Pencil Me In Cosmetics please feel free to comment below or you can email me at claire@lipstainsandlace.com and I will try my best to answer or you can contact Linda directly here.